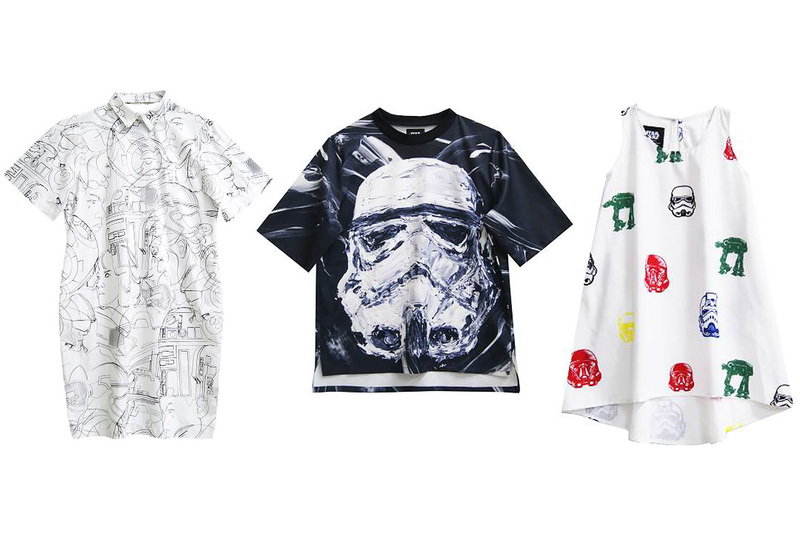 Singapore based fashion designer Sabrina Goh is releasing a new Star Wars collection! 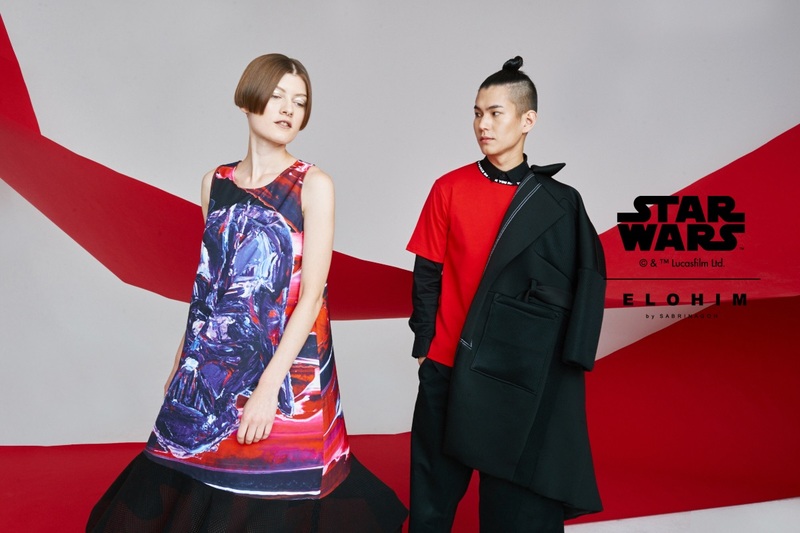 To celebrate the release of The Last Jedi, the new ‘Synthesis’ read-to-wear collection will include 17 styles, including pieces for women, men, and children. 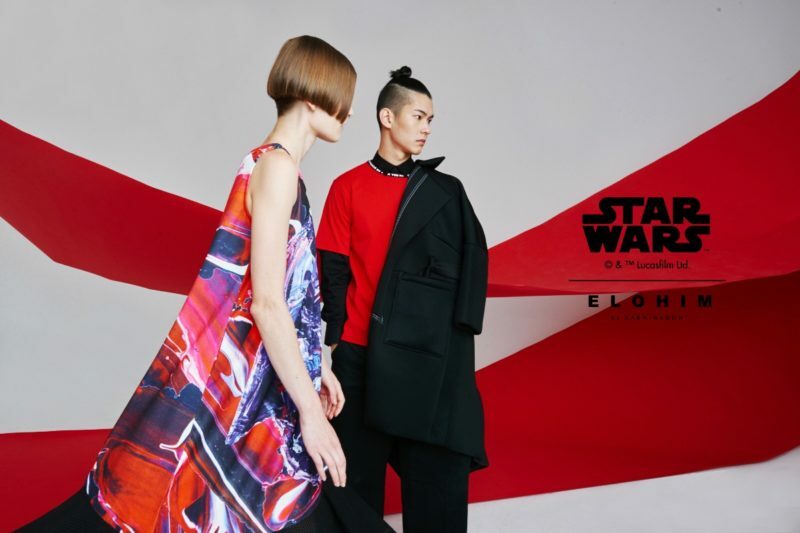 This is the second Star Wars fashion collection for the designer, following her first gorgeous sold-out collection for the release of Rogue One. I love the striking bold red Darth Vader design – it compliments the red theme used in The Last Jedi advertising artwork. The next chapter of the Star Wars saga continues in style on 8th December with the release of Elohim by SabrinaGoh’s ‘Synthesis’ Star Wars collection. 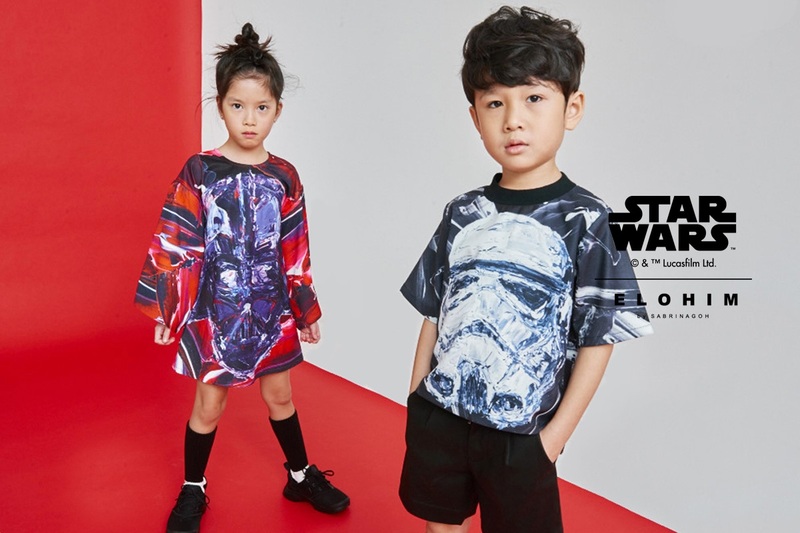 The second collaboration between the homegrown fashion designer and The Walt Disney Company Singapore, the launch preludes the much anticipated release of Star Wars: The Last Jedi with a ready-to-wear capsule for men, women and kids (3 – 6 years old). Following her first sold-out Star Wars collaboration capsule last year, Sabrina has created a capsule of 17 styles featuring iconic characters from the Star Wars Trilogy. The ‘Synthesis’ collection expresses the Sabrina’s take on the duality of the Force, the balance and divide between the Dark and the Light side. 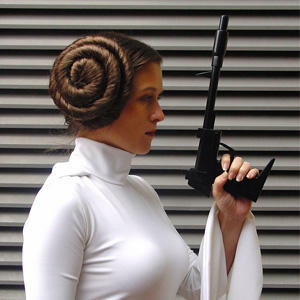 Her tribute to the galactic space opera reflects her own signature style exploring contrast codes within fashion binaries – the balance between the constant interplay between menswear and womenswear, contrast symmetry and new volume proportions. The limited edition digital prints in ‘Synthesis’ depict collage line drawings of Rey, Rose, Finn, R2-D2, BB-8, Captain Phasma, and Praetorian Guards on monochrome gender neutral tops and an Obi-wan Kenobi inspired robe, shirt dresses and culottes for women and mini versions for kids 3 to 6 years old. Also featured are manipulated renderings of classic icons in a tribute to Star War’s 40th anniversary. 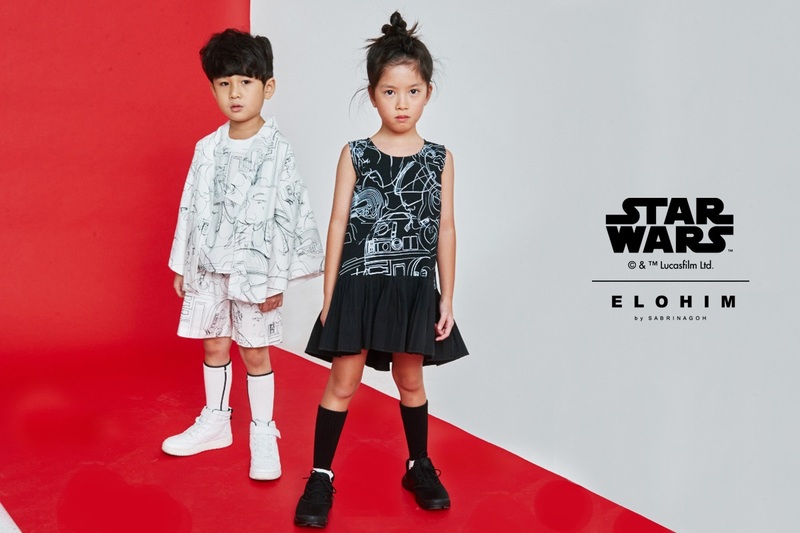 The portraits of Storm Trooper and Darth Vader are featured in digital paint swashes on jumper tops as well as Elohim by Sabrina Goh’s signature asymmetrical draped dresses. 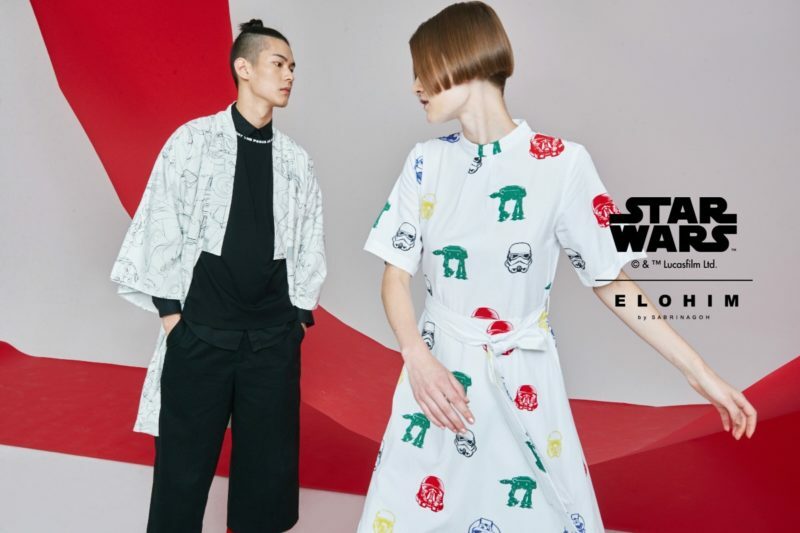 The third print features pop colour icons of First Order Troopers, the Imperial Army and Walker on belted dresses, boxy tops, and tank dresses with asymmetrical hems. The Star Wars X Elohim by SabrinaGoh ‘Synthesis’ collection marks the release of Star Wars: The Last Jedi, due to be released in local cinemas on 14 December 2017. Prices for ‘Synthesis’ range from SGD$79.90 to SGD$289.90 and will be available from 8th December 2017 at SABRINAGOH Capitol Piazza flagship store [#02-14, 13 Stamford Road, (S)178905] and online at www.sabrinagoh.com. Sabrina Goh is a Singapore-based designer. After graduating from LASALLE SIA College of the Arts, she worked with several brands before launching her fashion label ELOHIM BY SABRINAGOH in 2009. A draughtsman’s daughter, Sabrina draws inspiration from architectural forms and has a design signature in sculpting strong silhouettes. Winner of “Designer of the Year” at ELLE Awards Singapore in 2010, she has showcased at Audi Fashion Festival and Blueprint, Singapore’s premier fashion tradeshow, as well as international platforms Vogue Fashion Night Out in Bangkok, New York trade shows (Coterie TMRW New York, Capsule New York), and the Fashion Futures 2015 X CFDA Induction program. The latter provided Sabrina Goh the opportunity to meet and consult with designers Diane von Furstenberg, Thakoon, Victoria Beckham, Prabal Gurung, as well as Sarah Rutson from Net-aPorter. Photos supplied by and belong to Sabrina Goh, used with permission.